Liberty Ross’s debut in design may be a humble six piece collection, but the memories she attaches to it are both rich and vast. In collaboration with LA denim brand GENETIC, the sextet – a disco-rock denim two-piece suit, matching mini-skirt, romper, plaid jean and biker trouser – covers “her life thus far”. Ali Fatourechi, the brand’s founder and designer, gave Ross total autonomy over the design process, which left the hands-on supermodel initially stumped but inspired to gather inspirations, sketch up drawings and edit the design ideas. Whether it’s looking back to her favourite cult 90s streetwear brands such as X-Girl, Hysteric Glamour and X-Large, or the Anglomania movement that saturated her early modelling days, every inspiration can be found woven into the collection, from the gold hardware to the names of garments. Here, Ross pulls out her individual memories of London, Los Angeles, music and fashion for Dazed as the collection launches in Selfridges and on Net-a-Porter. 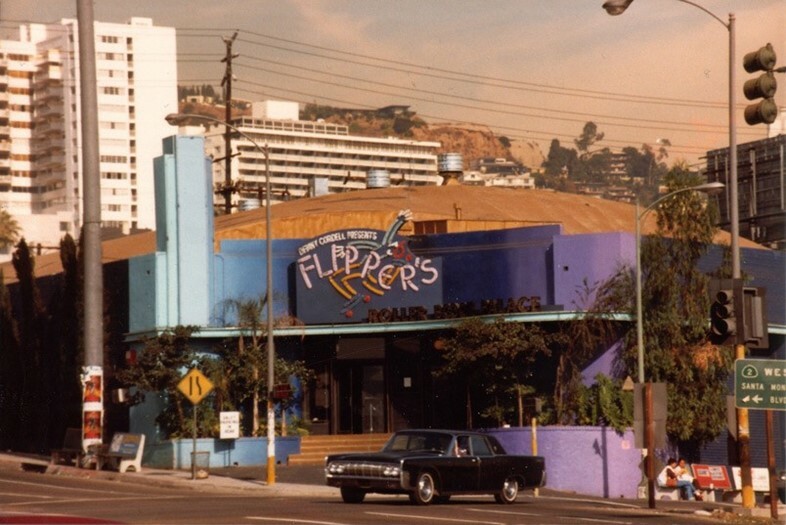 "My dad opened a roller disco in the 80s right by the Sunset Strip, it was this amazing, very iconic roller rink at the time. I have four older siblings and one younger, and all three of my brothers are in the music industry. My dad was really involved in music too, with the disco, and he also started Radio Caroline and was the one who invented pirate radio, if you like, off on a coast in England on a boat. That was how he met my mum. Music has formed who each of us are. My eldest brother Atticus just won an Oscar some years ago as he wrote the music for The Social Network. But I definitely can’t play instruments. My mum had this idea I was going to be this long-haired hippie playing guitar and bought me one when I was 13, but my little brother picked it up instead and was such a natural he kept it! Io Echo is a band my brother now plays in, they’re really good." "There was a great shoot with Norbert Schoerner and Katie Grand, with me on my hands and knees. I love Norbert, I think he’s the most brilliant photographer. This particular shoot he projected different dark landscapes around me. That’s when I started working with Katie as well and I was inspired by her way of styling, it was always little shorts or underwear, with a sweater on top, sneakers with socks, and hair was a bun on top of my head, with all the hair pulled out. I was so into it all then! Another one was with Phil Poynter and Charlotte Stockdale, they put tonnes of foundation on me and scratched out my name on my chest. They were great photos." "I worked a lot with Nick Knight and John Galliano when John was at Dior. He also made my wedding dress. He’ll always hold a special place; I have most of my memorable, iconic moments in fashion with him. I remember doing fittings with John watching him approach fashion from a different angle, and today remembering what they do and look out for. The certain length of a sleeve, a sculpted waist or shoulder...John and Nick really taught me so much about seeing and expression and have been so influential in my life." "He’s someone I’ve always admired and loved. I recently worked closely with Amanda Harlech and Nick Knight on the exhibition pictures for the Issy Blow exhibition at Somerset House. In fact, while I was designing the collection for GENETIC, I was shooting this project with Nick and all of Issy’s archive. It really reminded me what a genius McQueen was, to see it all again and put it on my back, and feel how it sculpts your body...he had such an incredible creative mind. 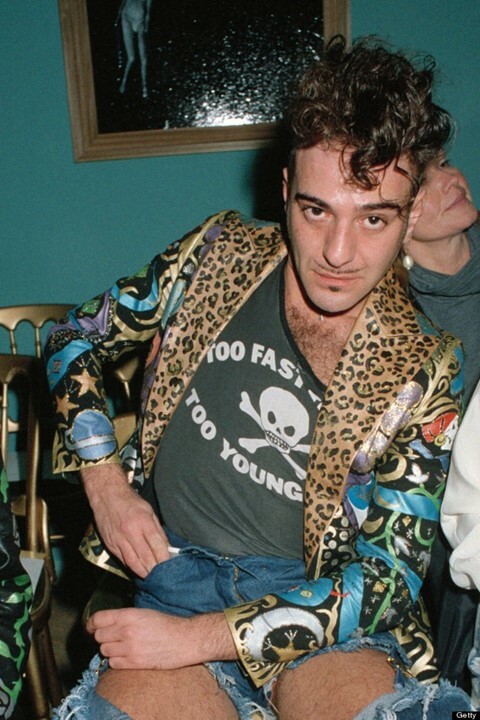 I’ve always worn and loved his clothes." "I’m so intrigued by him; he’s such an icon and gentleman, and incredible to work with. In the older days I would go from London to his studio in Paris; I love Amanda Harlech and Carine Roitfeld, they’re both my real, real fashion icons and the fact that he collaborates and works with them so frequently made it an instant attraction. I worked for Chanel with him and from that saw how he’s such a mastermind."